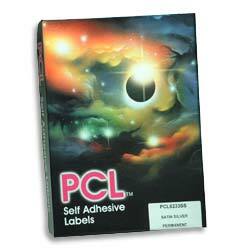 deal for high speed and office laser or copier printing, PCL™ labels produce professional results on the smallest or most sophisticated digital (laser/copier) printers. Also designed for litho pre-printing and variable data overprinting. Designed to produce high quality results on mono/colour laser printers and copiers (desktop and high speed), inkjet or litho. Designed for adhesion to goods to be deep frozen. Designed to produce high quality results on mono/colour laser printers and copiers (desktop and high speed), or litho. Professional removable adhesive multi-functional labels.